Prince William made his debut at number 27 in GQ magazine's ranking of 50 Best-Dressed Men in 2011. But he has now slipped out of the list, while his brother Prince Harry is 25th - down from fifth place last year - and his father, the Prince of Wales, is 50th. The magazine said of Harry: "His brother may end up as king, but this year the younger son has been crowned the prince of style" for looking good in "uniforms... well-cut suits (and) the dishevelled tumbling-out-of-a-nightclub jeans". 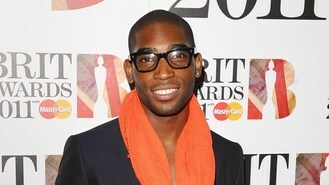 The top 10 features rapper Tinie, who is credited with possessing a "true passion for elegance and proportions", in first place, followed by mohawk-sporting Manchester City striker Mario Balotelli and Doctor Who star Matt Smith, for being able to look "pretty cool" in clothes that "should be a joke". Twilight heartthrob Robert Pattinson is fourth, ahead of Spider-Man star Andrew Garfield and Superman's Henry Cavill, for being able to pull off a "superhero outfit and a medieval doublet and hose". The Wire star Idris Elba, The Dark Knight's Christian Bale, Kasabian guitarist Sergio Pizzorno and Stone Roses frontman Ian Brown, who could wear "a pair of plimsolls as earrings and part of you would wonder if you should, too", complete the top 10. David Beckham has moved up three places from 16 last year to 13 in 2012. Take That star and X Factor judge Gary Barlow is a new entry at 16, and X Factor host Dermot O'Leary moves from 40 in 2011 to 18. Irish-German actor Michael Fassbender has been named the most stylish international man. The worst-dressed list is topped by US rapper Chris Brown.